Last weekend I had the apartment all to myself for a three day weekend! How did I spend the last weekend of summer? Going to the beach? Brunching outside? No! I was planning for FALL. I wanted to find a paring that still works for the end of summer but reminds everyone what the best season is, and that my friends, is Fall. I'm a massive fan of Molly Yeh's blog (and omg her instagram!) so I was so excited to see her most recent post was for butter-based vanilla cupcakes. I ran to the store to grab the ingredients I didn't already have on hand - European butter and refined coconut oil. I'm super skeptical of coconut oil but she explains why you need it in the post so I was ready to give it a try. You can find the whole recipe here! While my cupcakes were cooling it was time for me to dig out a perfect pairing (or three!) for these delightful, moist mini-cakes. I found four styles that I wanted to give a try and put them in the freezer to cool. Then it was time for frosting with the vanilla buttercream. 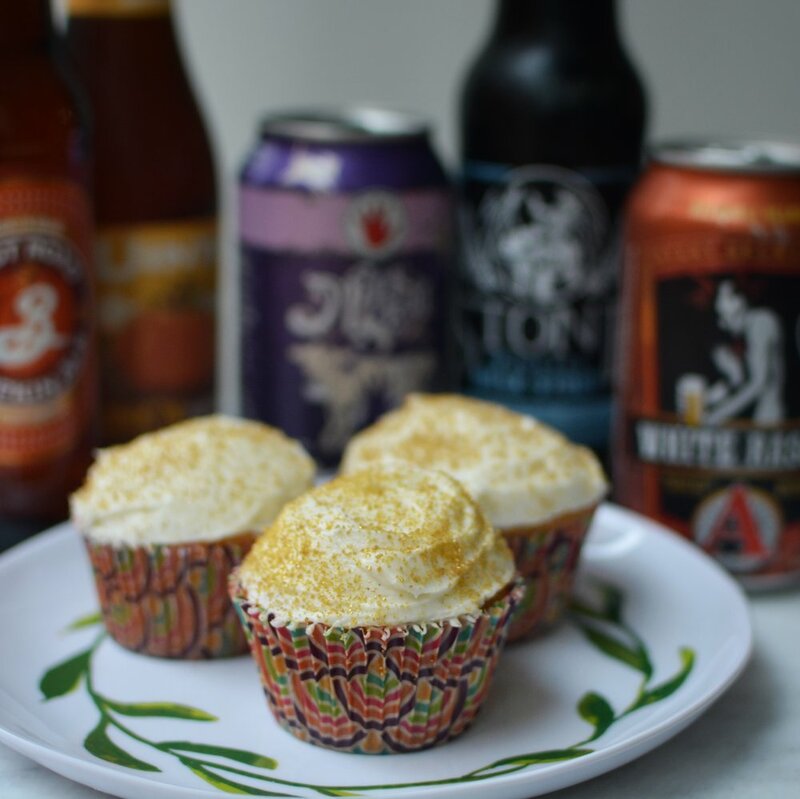 I picked my ugliest cupcakes to try with the beers - milk stout, witbier, Belgian golden strong, and pumpkin beer - to make sure the pairing in my head worked in my mouth. And I'll tell you what, no one is perfect! ha! I thought the Belgian golden strong would cut through the butter fat and sweetness of the cupcake and make everything lighter but uhhh....it didn't. The carbonation just flattened everything out didn't give me that rich dessert bite I was going for. But I have three awesome pairings and here's why they work. These cupcakes are rich and moist and sweeeeet. Buttercream, it's sweet you guys. The little bit of roast in these milk stouts is just enough to cut through some of that sweet buttery-ness happening without turning your experience bitter. 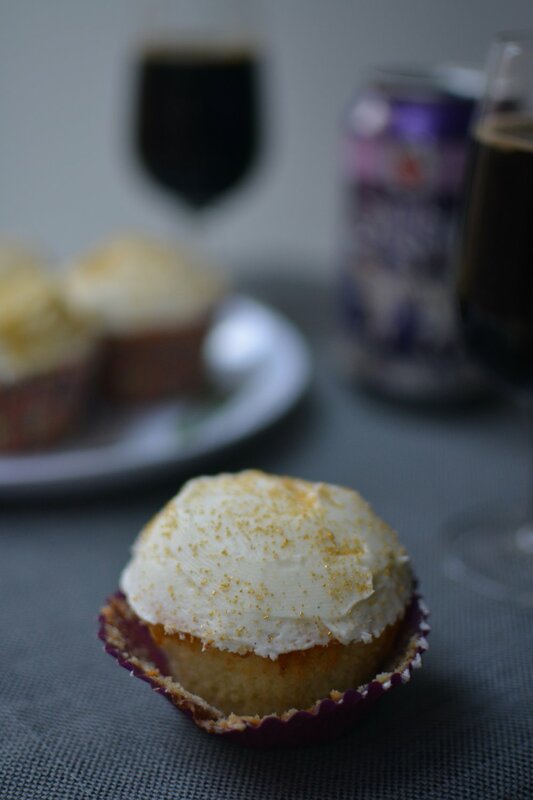 The roasted notes also elevate some of the vanilla flavors in both the cupcake and the buttercream. The underlying sweet backbone of a milk stout is why this style beats out porter for a cupcake pairing. Vanilla is the perfect match for the orange peel and coriander in a witbier. The fruitiness of a witbeir adds another interesting flavor to your dessert course (or afternoon snack, I'm not telling you when to eat a cupcake 😜) but still really lets the buttery elements of the cake shine. Think a tinyyyy squeeze of orange mixed into the buttercream and a refreshing zing of carbonation after each bite! The perfect pair for the end of summer when you can eat your cupcakes outside without sweating. This is my favorite, my guilty pleasure, the secret reason I picked these cupcakes for my baking excursion. Pumpkin beer + butter + vanilla = pumpkin pie but BETTER. 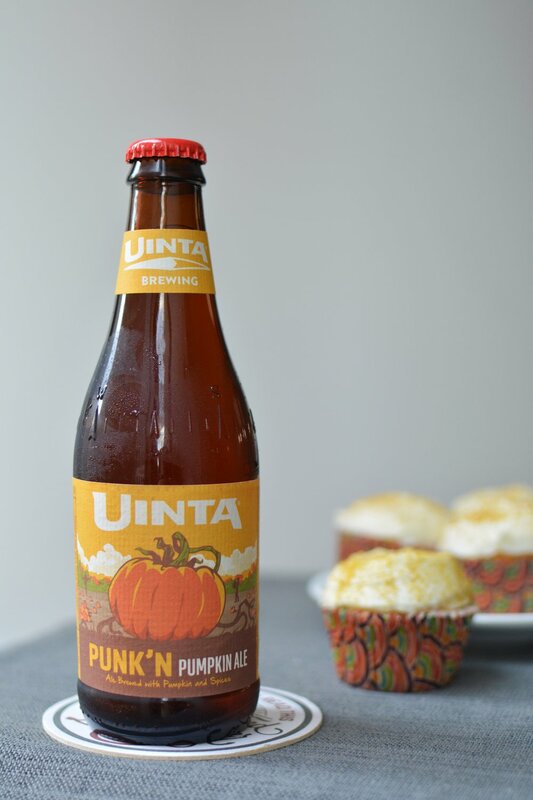 The spices in a pumpkin beer pair with these lusciousness created by butterfat and coconut oil in the cupcakes on a way that can make even the strongest summer-lover excited about fall. 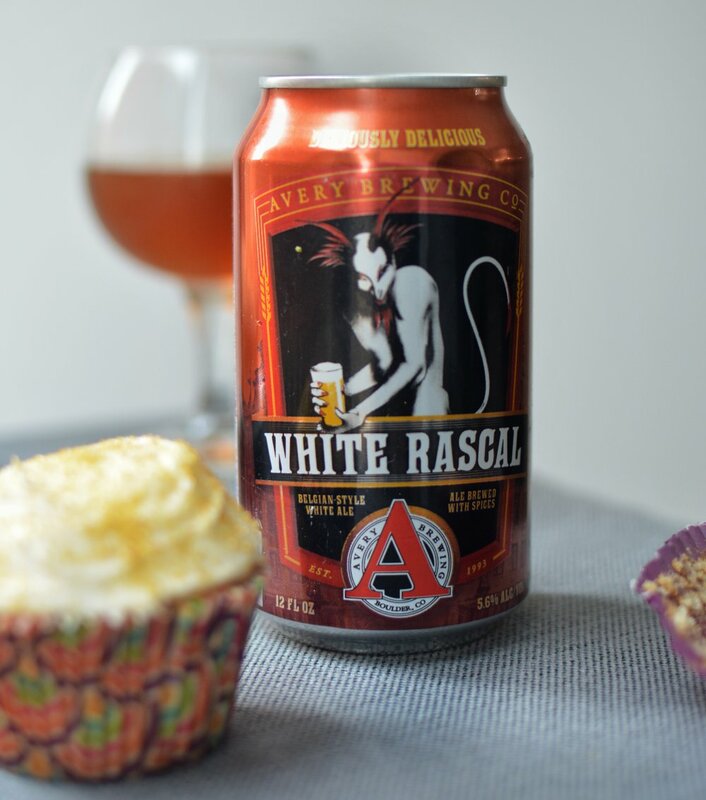 I'm telling you, even if you can't make these cupcakes, try a pumpkin beer with a vanilla dessert, you're going to LOVE It. The chocolate chip cookie is a dessert standard. They'll hold up on the trip to the office or potluck, they're a crowd pleaser, and hey they aren't all that hard to make! In fact, I have my favorite super easy recipe for a small batch of chocolate chip cookies right here. But if you really want to bring the party, don't offer cookies alone! Bring a beer pairing along with you. Pairings not only make your favorite foods taste just a littttle better, they are also fun to try because they work for everyone a little differently. Weizenbock and Belgian Dubble styles both feature some wonderful stone fruit flavors that lend a richness to the pallet, but their body and carbonation are a lighter than other dark beer counterparts. You'll notice more of the brown sugar sweetness in your cookie that pairs beautifully with the breadcrust flavors in these darker ales. 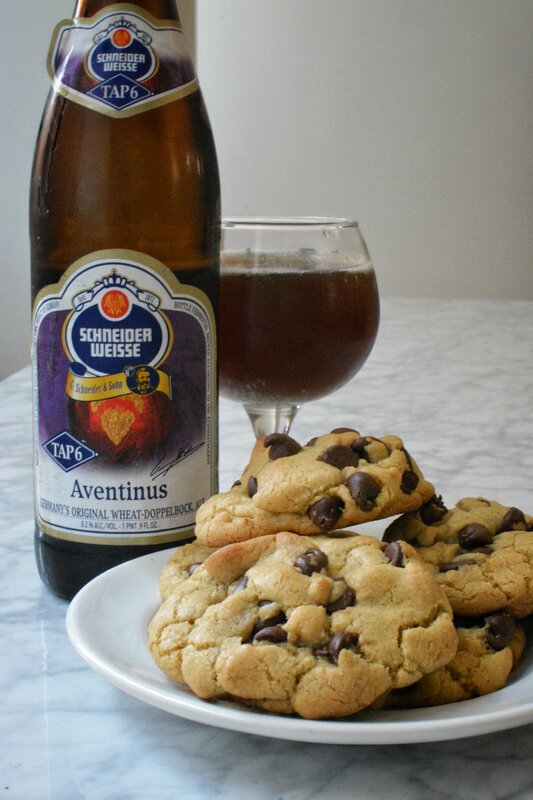 My favorite pairing with chocolate chip cookies is the Belgian Quad. This style is sweet and rich and boozy. The dark fruit flavors of fig and dried cherries bring out the vanilla in the cookies for an indulgent dessert experience. This style tends to be more than ten percent alcohol making it the perfect way to end a dinner, or a night in! This pairing is not going to give you the classic dessert flavors you may expect, but it will wake you and your pallet up a little. I imagine the perfect place for this pairing is eating chocolate chip cookies outside at a summer picnic. Instead of pulling out deeper sugar and chocolate flavors from the cookie, the funky Brett flavors and high carbonation effectively wipe the heavy sweetness from your pallet. This experience instantly makes dessert feel lighter and let's you get your sugar fix without needing a nap. I know, I know you were expecting to see a stout! Stouts are definitely a good pair with chocolate chip cookies the light roast flavors compliment the sweetness in the cookie without overpowering it. Semisweet chocolate also stands up to that roast, which make the semi-sweet flavor shine on your pallet. 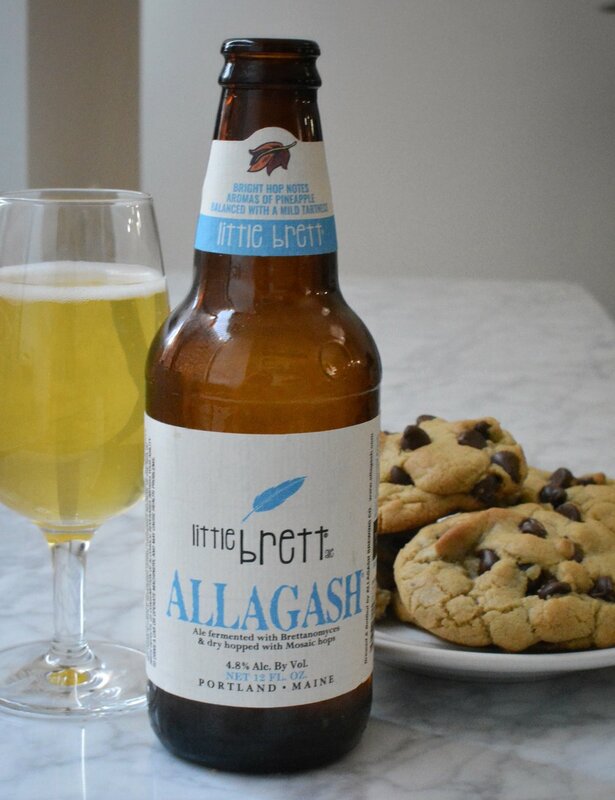 But come on, everyone pairs chocolate chip cookies with Left Hand Milk Stout, I wasn't going to do that to you! Ok...so what did I miss? Or what did you think? Anything you absolutely have to eat your cookies with?